A 55 piece vintage set of mcm dishes. 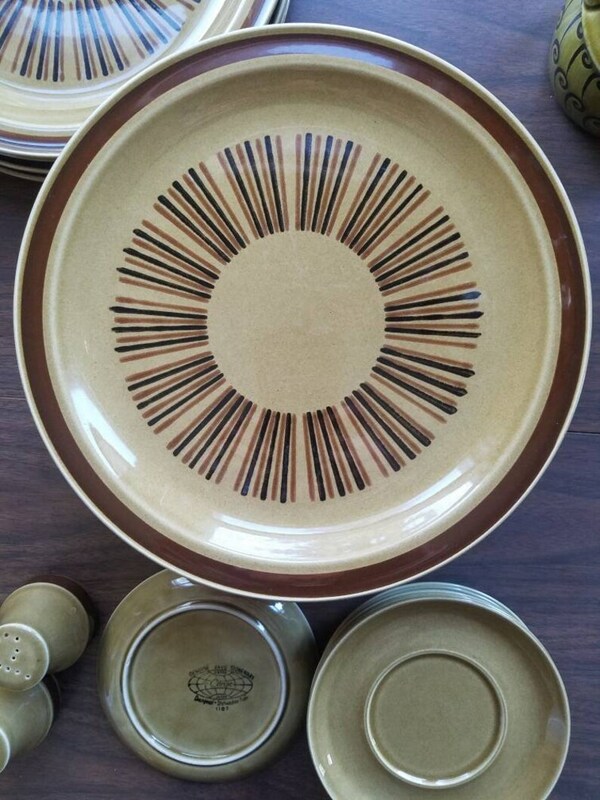 The design on the dinner plates is like a sunburst pattern with tan and chocolate brown colors. Most of the dishes are in good vintage condition with use marks from utensils. These are beautiful every day dishes of quality, just think they are close to 60 years old. Other notes are in the description. The coffee pot in these photos is NOT part of this set. 8 Coffee Saucer Plates 6"
9 Berry bowls/dessert bowls 6.5" x 1.5"
Another Everedy Classic Flour and Sugar Container set.